In this paper, we describe how to model a low-risk economy and being building portfolios to reflect that reality. To appropriately invest in an indefinitely sustainable economy, investors must appreciate that the economy of the future will not be the legacy economy of the past. 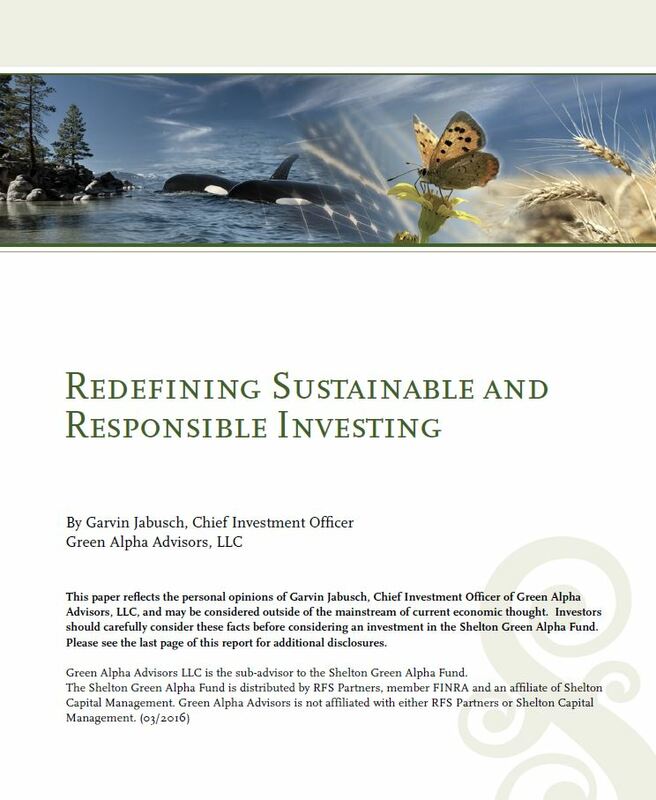 Therefore, building a sustainable portfolio requires new definitions and a new set of rules. To some degree, this requires redefining the parameters of modern portfolio theory to reflect this new world with its technologies and challenges. Specifically, we contemplate a re-engineering of how we think about risk-adjusted returns. Measures of returns are today thought of as relative to an established benchmark, yet the established benchmarks all reflect the incumbent and legacy economies that are replete with causes of systemic risks such as fossil fuels. Meaning that today, the world defines a low-risk portfolio as one that has high correlation with one of the high systemic risk traditional benchmarks. But what if we modeled a low-risk economy and began building portfolios to reflect that world? They would probably not correlate well to today’s common benchmarks, but, long-term, they may be lower risk.